Avon has expanded its fragrance range with the help of Hollywood star Eva Mendes. The beauty giant recently launched ‘Eve Truth Eau de Parfum’ — an addition to the ‘Eve’ perfume family fronted by Mendes, featuring notes of delicate flowers, energetic fruits and sensual minerals such as living magnetite. MAC Cosmetics is opening the door to a whole new world for beauty buffs, with the launch of a new “Aladdin”-themed makeup collection. The beauty giant has teamed up with Disney to create the ‘Disney Aladdin Collection by MAC’, which is slated for release this May. A highly-anticipated live-action remake of the classic story is set to hit movie theaters worldwide on May 24. 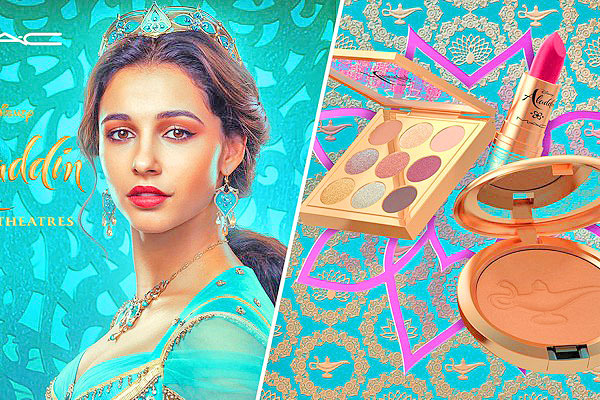 According to MAC, the new collection “highlights the self-determination and confidence of Princess Jasmine in the upcoming live-action adaptation.” HelloGiggles reports that the series will feature a powder blush compact, a hot pink bullet lipstick and an eyeshadow palette, all presented in gold packaging with elaborate colourful details. The move is the latest in a string of high-profile beauty collaborations for Disney, with recent partnerships including a “Toy Story”-themed skincare range with the K-beauty brand Innisfree, a 90th-anniversary Mickey Mouse collection with Bésame Cosmetics and an all-reaching, 19-piece ‘Disney Designer Collection’ launched with the LA-based label Colourpop Cosmetics back in November last year. MAC Cosmetics teases ‘Aladdin’ collection 0 out of 5 based on 0 ratings. 0 user reviews.